Having a new baby this winter or need a baby shower gift for a winter baby? Then the Candide Baby Seasonal Bamboo Crib Mattress is so perfect because it has a side especially for keeping babies warmer in winter! The Candide Seasonal Bamboo Crib Mattress is adjustable for sleeping according to seasons and perfect for babies with sensitive skin. 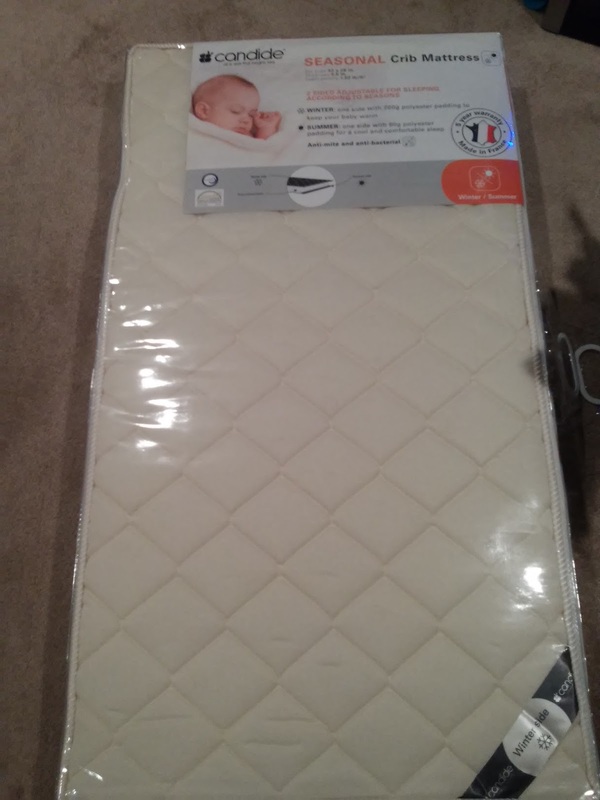 This standard size crib mattress features a soft Bamboo cover with viscose fabric that provides a breathable, cool environment for your baby . Cover is removable and machine washable. One side has wadding for winter. One side in polycotton for summer. Soft Bamboo cover with viscose shell that provides a lovely, cool sensation. Soft touch. Anti-mite and anti-bacterial for sensitive babies. Foam density 1.93 pounds/square feet. 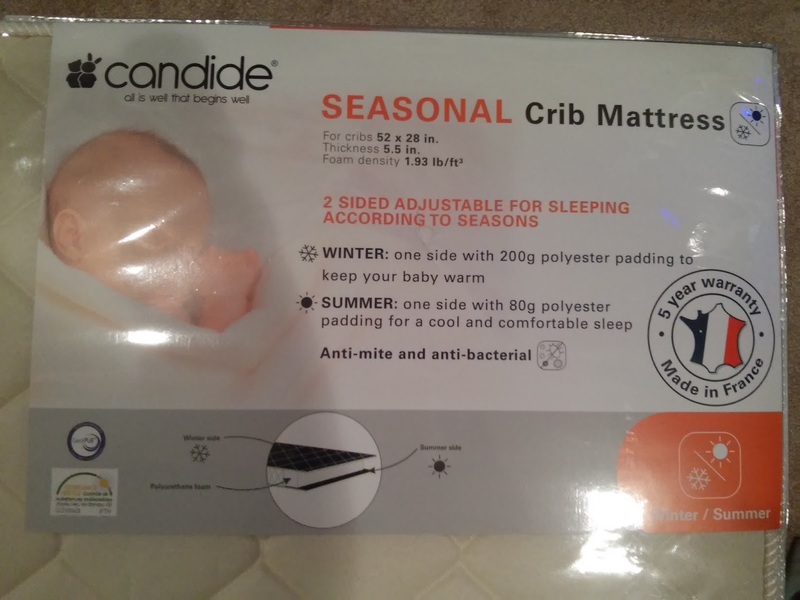 Winter: one side with 200 grams polyester padding to keep your baby warm / Summer: one side without padding for a cool and comfortable sleep. For cribs 52 x 28 Inches, Thickness 5.1 Inches. 5 year manufacturer warranty. Made in France. I love that this mattress is made with Bamboo which is safer than many other mainstream materials. 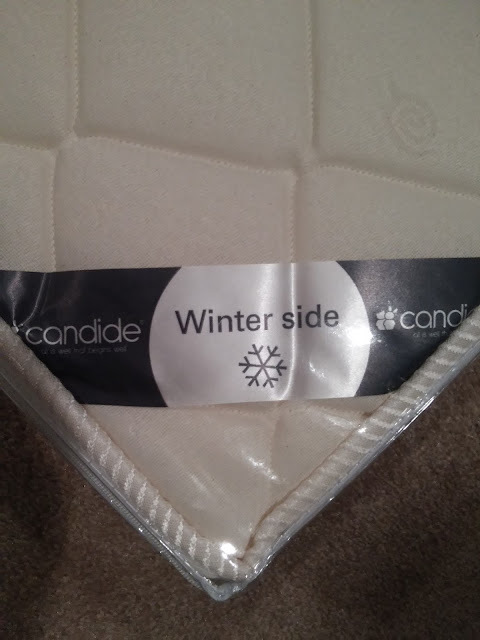 I also love that it is made to be warmer on one side because, being from Minnesota, we know cold winters!! !